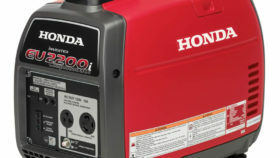 The brand new Honda EU2200i delivers 10% more power than their best selling Honda EU2000i – enabling you to power more of what you need, in the same lightweight, compact package. 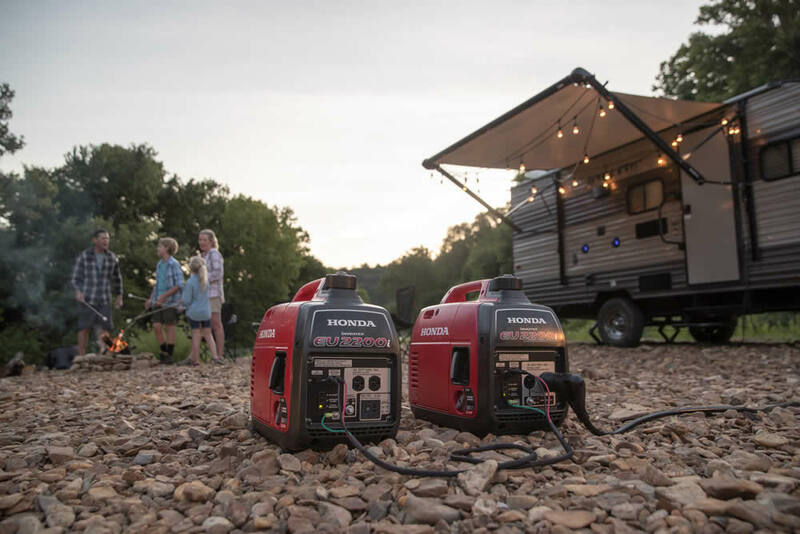 The Honda EU2000i was the number one selling portable generator best used for camping, tailgating and portable emergency back-up. Whether it’s an extra refrigerator at home, a larger saw on your construction site, a larger TV at your tailgate party, the Honda EU2200i gives you the power to get more done. The Honda EU2200i is powered by the Honda GXR120 Commercial Series engine and delivers exceptionally quiet, smooth, fuel-efficient performance in a small, lightweight package. 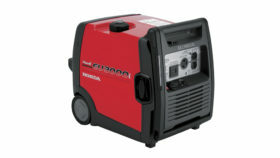 The size of a generator’s engine directly correlates to how much power it can produce. At 121cc, the GXR120 is at the top of its class – ensuring the EU2200 always produces the power you need to get the job done. Originally developed for heavy duty construction equipment, the GXR120 also delivers superb durability and reliability. The EU2200i is designed for quick and easy starting. Honda’s automatic mechanical decompressor system significantly reduces the amount of force needed to start the engine. Operational contact points are color-coded in gray to quickly guide the user through the starting operation. Lightweight – less than 47 lbs!